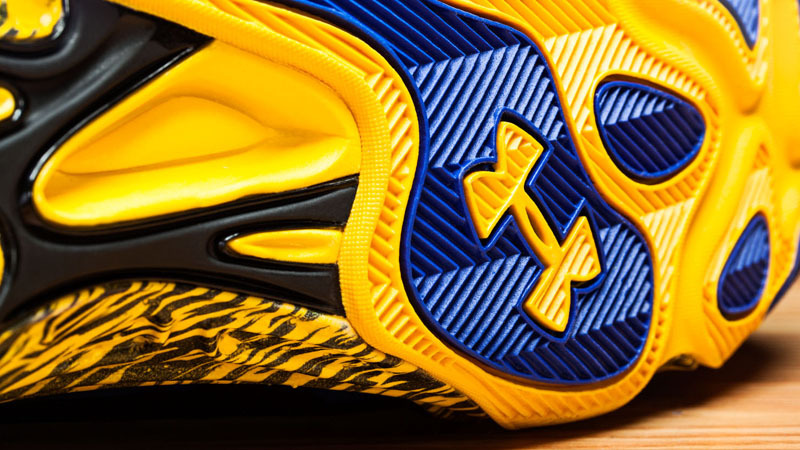 First-time All Star Stephen Curry has been lighting up the league this season, and he’s been doing it all year long in the Under Armour Anatomix Spawn. 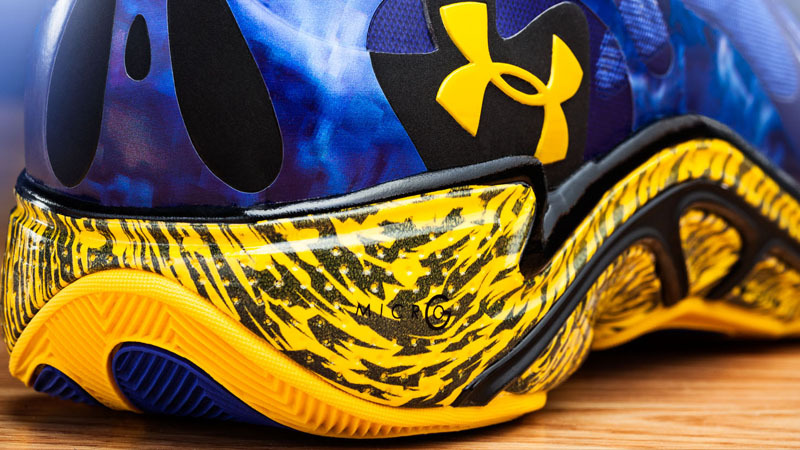 The Anatomix Spawn is Under Armour’s most technologically advanced basketball shoe to date, featuring a layered system of fit that works with the muscles, tendons, and bones of your foot, putting more support where you need it and more freedom everywhere else. With exposed mesh areas for superior breathability and a light, low, full-length Micro G® midsole, the Anatomix Spawn has all you need to take the court with confidence. 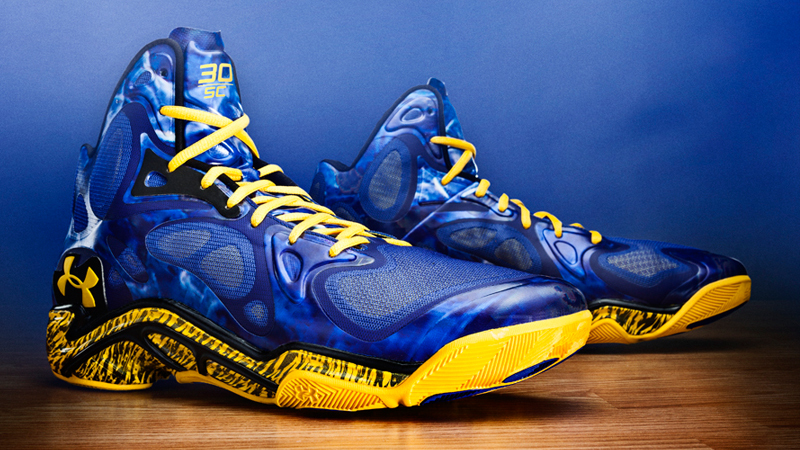 This Wednesday, April 16th Curry’s final PE of the regular season, the “Blue Splash,” drops EXCLUSIVELY at select Foot Locker stores and also on Footlocker.com (starting at 8:00 a.m. EDT) for $120. Check the Launch Locator to see which stores will have this release and let us know what you think of the shoe in the comments.